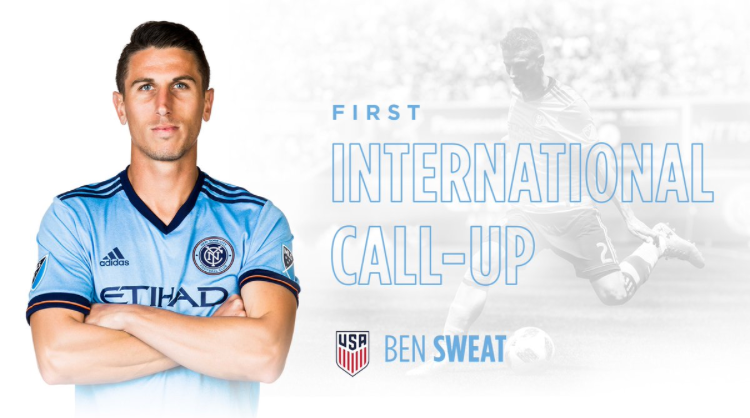 New York City Football Club defender Ben Sweat has been called up to the U.S. Men’s National Team for the first time. Sweat received the call for upcoming friendlies vs. Colombia and Peru on October 11 and October 16 respectively. Sweat told NYCFC.com, “I’m still a little shaken from it, it’s something that every player works their entire career for. I’ve had little hints here and there since joining New York but to finally get the call, it took my breath away and I’m emotional about it because I’ve worked so hard to get where I am now. Sweat joined City in February 2017, following a successful preseason trial and has made 57 appearances for the Club over the past two seasons across all competitions, scoring one goal and tallying seven assists.